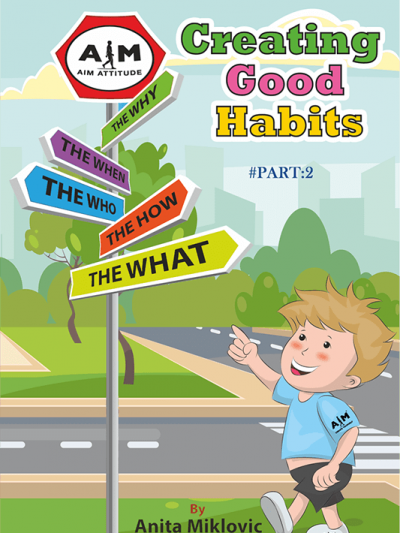 AIM attitude Books/eBooks was created for children & kids of all ages to help them understand emotions. AIM Attitude helps in guiding our feelings forward and educate individuals on the ways of the “how”, to help mankind grow and interact with each other, help overcome emotional barriers. AIM attitude empowers individuals to dream and create positive actions to help maintain positive choices for a healthy emotional development and mental growth to become the person you are meant to be, CHOOSE to become. AIM attitude is a necessary energy to form and maintain strong and healthy development in our feelings to help our positive thinking to function properly. AIM: a positive, universal language we all know inside. The ATTITUDE, that marks purpose in our lives. Learn to live life. AIM attitude is guidance to happiness. AIM is about becoming and living. A positive way of thinking and talking to oneself and others to spread positive energy into one’s mind and soul. Clean Your Room = Self-Love. Positive actions promote healthy choices which create an active lifestyle and help maintain positive thinking with strong and healthy emotional development and mental growth. = Positive actions invite positive energy. Brush Your Teeth = Self-Respect. Personal hygiene plays a huge role in emotional and mental health. AIM ATTITUDE helps to support this growth and helps to maintain positive emotions and mental health. It guides us onto a healthy life path so we can become the person we want to and are meant to be. = Positive actions invite positive energy.